The LaCrosse gets a full redesign for 2017. Virtually nothing carries over from the previous model, except the name. Are you searching for a luxuriously appointed sedan that's just as confident on the highway as it is carving up curvy back roads? Do you crave old-world levels of refinement but don't see the need to shell out princely sums in order to get what you want? If so, you can't afford to overlook the 2017 Buick LaCrosse. 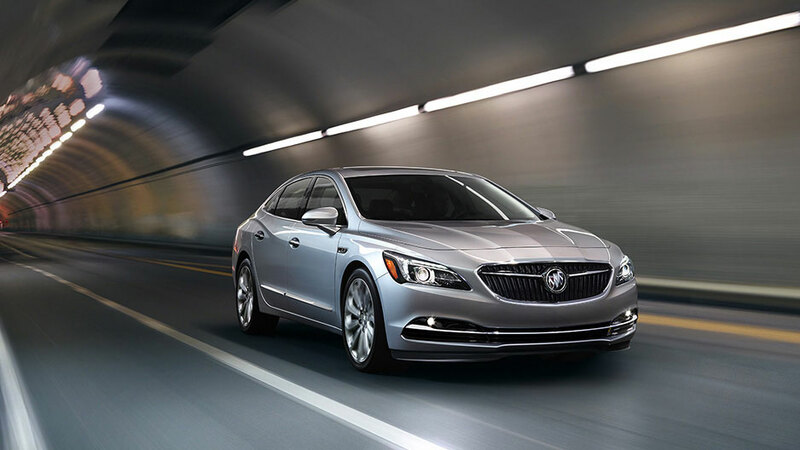 The Buick LaCrosse has been completely redesigned for the 2017 model year. It's quieter, more comfortable, and more refined than ever before. While the 2017 LaCrosse is sure to appeal to longtime fans of the brand, the latest LaCrosse is sure to attract a wider array of people with its more upscale styling, a greater focus on efficiency, and an array of new technology features -- all at an affordable price. The 2017 Buick LaCrosse gets an extra dose of both performance and refinement, thanks to an upgraded powertrain and reengineered chassis. The sole engine option is a new 3.6-liter V6 that produces 305 horsepower and 268 pound-feet of torque. It’s mated to an eight-speed automatic transmission. The V6 features direct injection for added power and more efficient combustion, as well as two notable fuel-saving features. General Motors’ Active Fuel Management system shuts down two cylinders under light loads and reactivates them when needed. The LaCrosse also features an engine start/stop system that shuts off the engine at traffic lights and stop signs to reduce fuel consumption. 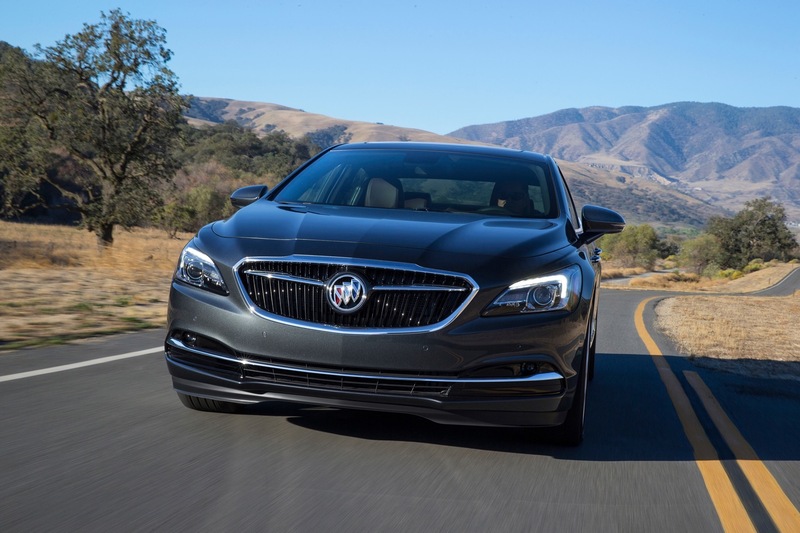 The LaCrosse features standard front-wheel drive, and Buick’s new twin-clutch all-wheel-drive system is available as an option. It uses an independent clutch setup to determine how much power is sent to each individual rear wheel, improving handling. A new five-link rear suspension and available Continuous Damping Control active suspension also help in that area. All of the hardware would be useless without a sturdy chassis to bolt it to, though. Buick says the new body structure is not only stronger than before, it's also 300 pounds lighter thanks to extensive use of high-strength steel. 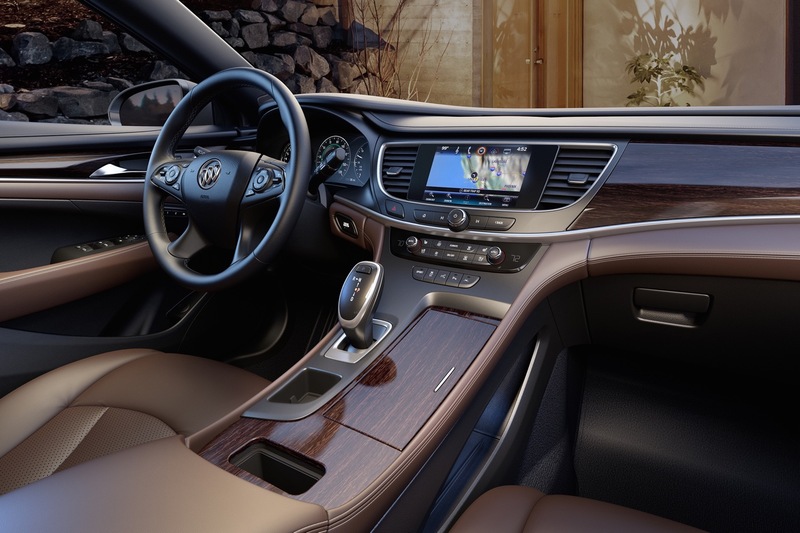 The LaCrosse also benefits from Buick’s QuietTuning process, which adds things like triple-sealed doors, acoustic laminated glass, and active noise cancellation to ensure a quiet cabin. Despite its position at the base of the LaCrosse lineup, the 1SV trim has a dizzying array of standard features that include 18-inch wheels, automatic xenon headlights, fog lamps, and heated mirrors. To help make drives more comfortable, the LaCrosse also comes with standard dual-zone automatic climate control, simulated leather upholstery, eight-way power front seats, and a leather-wrapped steering wheel. The LaCrosse also places a heavy emphasis on technology, which is highlighted by its standard rear parking sensors, rearview camera, keyless ignition/entry, and OnStar® telematics system. OnStar® is especially helpful since it not only includes a built-in 4G LTE Wi-Fi hotspot, but also provides additional peace of mind while driving thanks to its automatic crash notification, emergency call button, and stolen vehicle assistance, to name a few of its features. Naturally, the Preferred, Essence, and Premium trims all elevate the the 2017 LaCrosse to even greater levels of luxury. Some of the available features include HID headlights with LED signature lighting, 18-inch wheels, perforated leather seats, heated steering wheel, Bose® premium audio system, and a power rear sunshade. The 2017 LaCrosse also features more onboard technology items than before. The driver gets an 8.0-inch LED “information center” display, and there’s a second 8.0-inch display as part of Buick’s IntelliLink® infotainment system. IntelliLink also features Apple CarPlay™ and Android Auto™ smartphone connectivity. To ensure smartphones feel at home, Buick also offers wireless phone charging. The 2017 Buick LaCrosse continues Buick’s current design language, with some nods to the brand’s history. 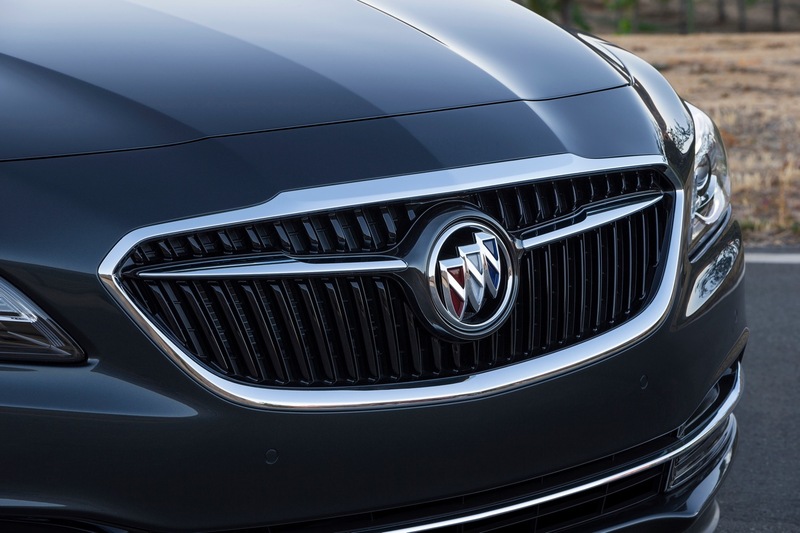 The large grille includes a prominent Buick tri-shield insignia accented by wing-shaped elements, against vertical “waterfall” bars. It’s a configuration inspired by the 1954 Buick Wildcat II concept. The rest of the LaCrosse has a more dynamic look than previous models. The front wheels were pulled forward and the wheelbase stretched 2.7 inches, despite an increase in overall length of just 0.6 inches. The roof is also 1.6 inches lower than the previous-generation model, giving the LaCrosse a sleeker profile. Finally, the wheels are pushed out further toward the corners for a more athletic stance. The interior is just as stylized as the exterior. It features a dramatic “floating” center console that positions the new electronic shifter closer to the driver while creating storage space below. Buick also splurged for high-quality materials, including aluminum sill plates, wood trim, and soft-touch material at most touch points. French stitching on areas like the seats and instrument panel classes things up even further. The LaCrosse is as capable as it is stylish, thanks to thoughtful touches that help improve functionality. The rear doors open wider than before to offer easier ingress and egress, for example, and trunk capacity is about 7 percent greater than in the previous LaCrosse, giving it enough room for four golf bags. Safety features on the 2017 Buick LaCrosse include anti-lock brakes, stability, and traction controls, 10 standard airbags, a rearview camera, adaptive cruise control, lane keep assist, lane change alert, forward collision alert, forward automatic braking, front pedestrian braking, automatic park assist, and GM’s Safety Alert Seat. The 2017 Buick LaCrosse emerges from its top-to-bottom redesign sleeker, smoother, and more efficient than before.